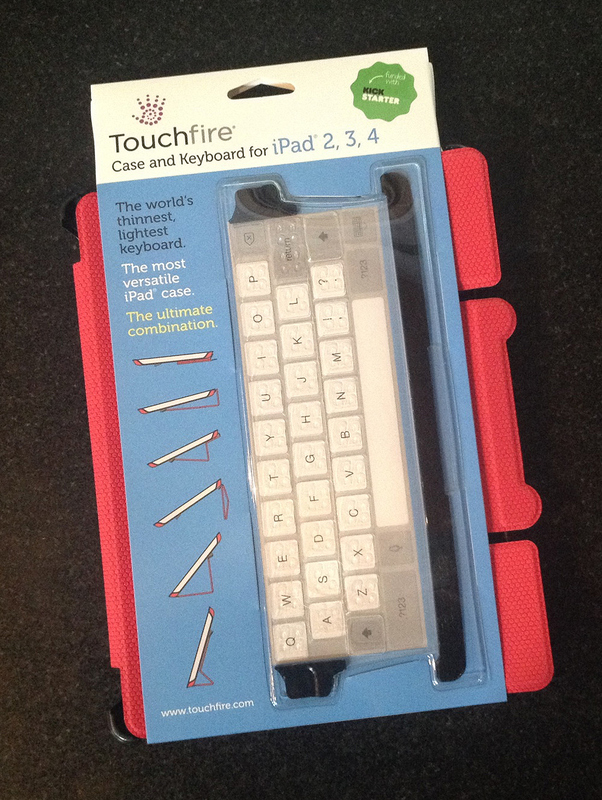 Develop a retail package to hold the TouchFire iPad keyboard, case and instructions. 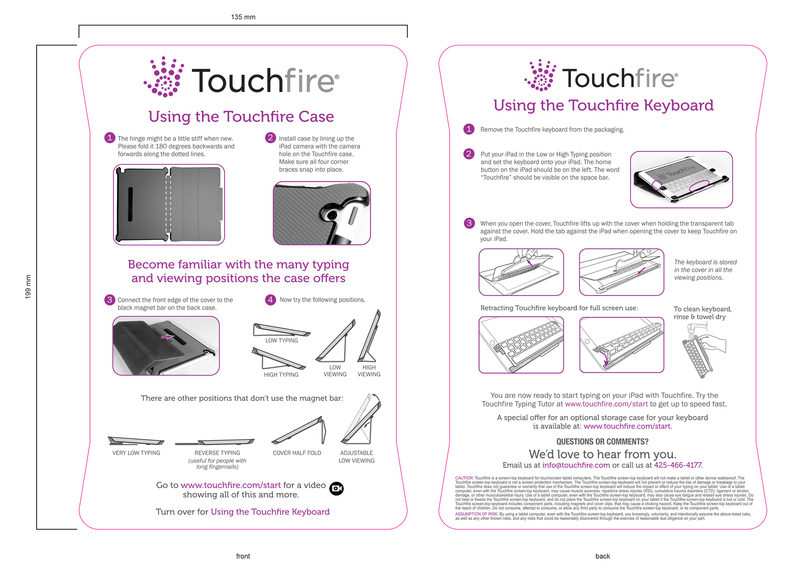 This case study summarizes a 3-month long design project for a Kickstarter-funded company based in Seattle, WA. 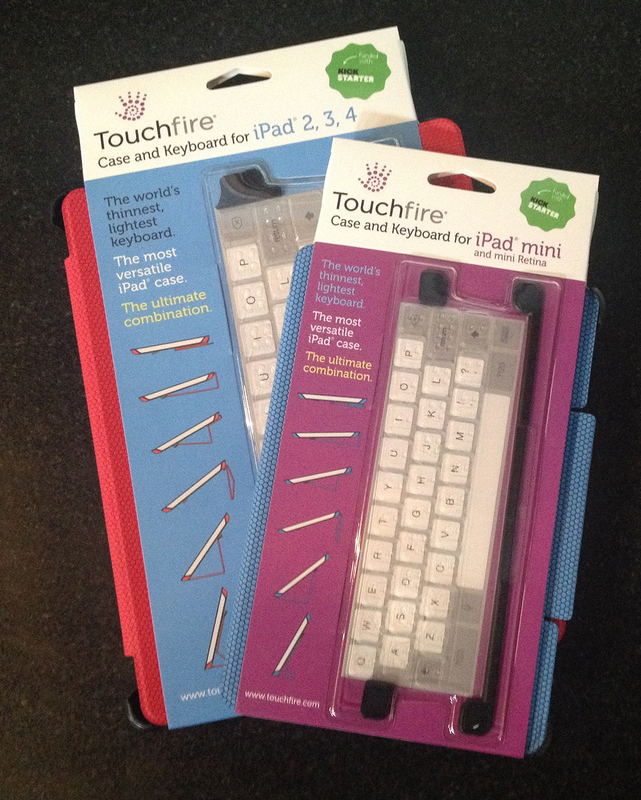 Touchfire has developed a patented keyboard/case combination to make typing and viewing on your iPad much easier. 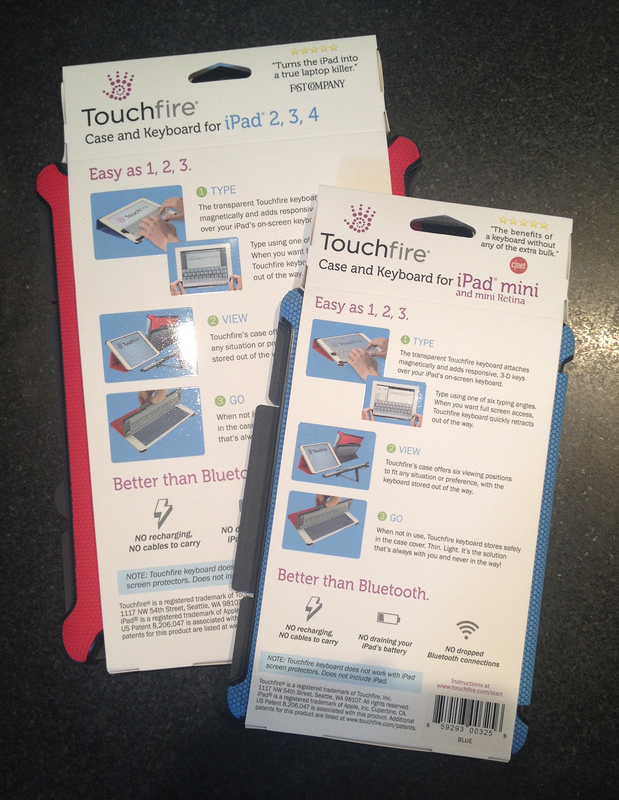 They needed creative direction, art direction, design and messaging to develop the actual cases for the iPad Mini and iPad 2/3/4 (and soon, the iPad Air). 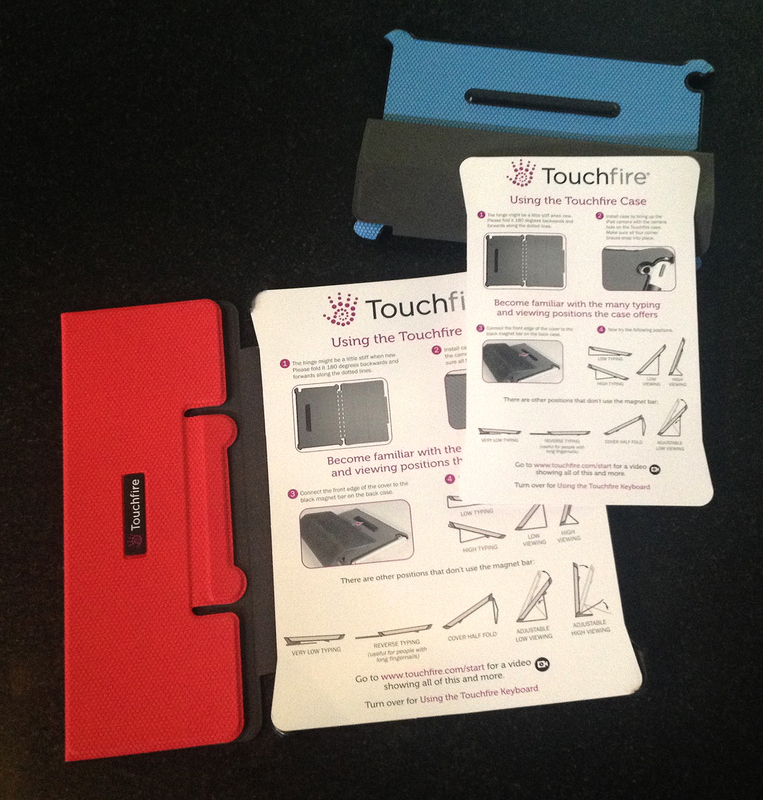 The following are the first run samples off the press from Asia. In addition, at the bottom, you'll find some preliminary work on a responsive site redesign that is a work in progress. 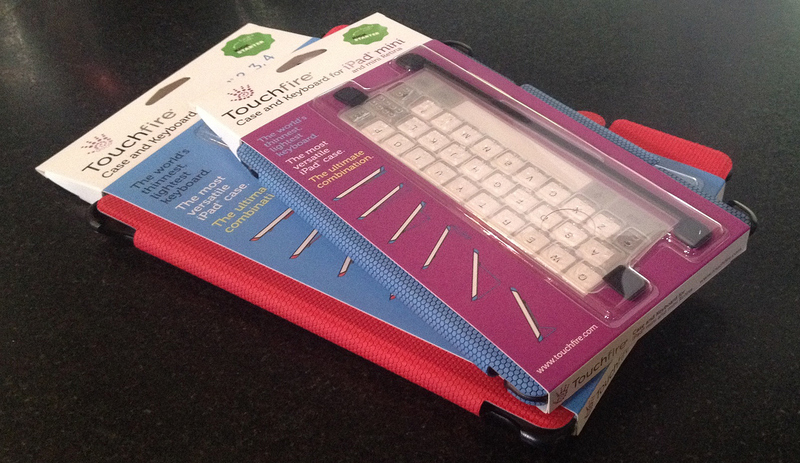 FUN PROJECT and looking forward to a long-term relationship with this innovative client. 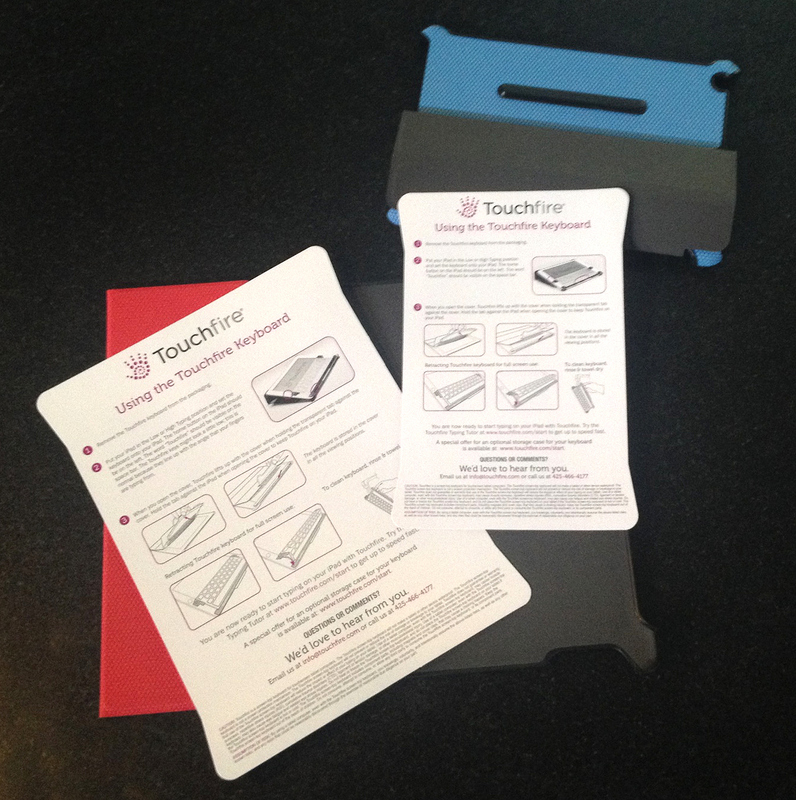 Touchfire will be available in retail locations soon, and can be order directly from their website as well. 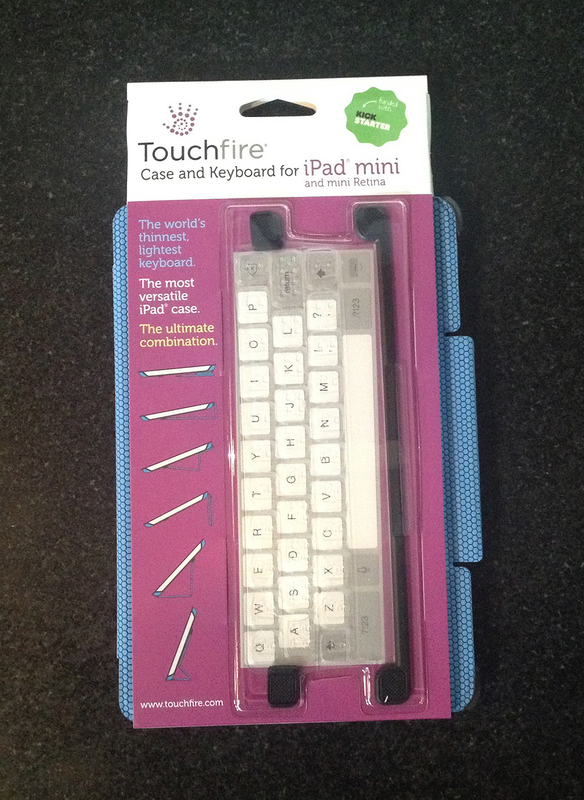 SPECIAL CREDIT TO SCOTT COMINS FOR DIELINE ILLUSTRATION WORK AND CLAM-SHELL PACKAGE ENGINEERING.